Here’s some more market research for my magazine class! 1) Brevity – I like this magazine, and it offers a challenge for me – they only take pieces less than 750 words, and I tend to write a lot, so submitting here will hopefully help me be more concise with my writing. 2) Awkward Mermaid – They focus on mental illness! They do creative nonfiction! They have an aesthetically pleasing website! What’s not to like? 3) Pamplemousse – They do a bunch of different genres, including creative nonfiction, interviews, and book reviews! I write a lot of those things, so I feel like I’d have luck submitting here. Also, Kara got published here once! 4) The Hellebore – Represents a lot of underrepresented communities, including the LGBTQIA+ community! Would be interesting to have something published here. 5) Peach Mag – I love the way this magazine is set up. It’s very aesthetically pleasing. They post something new every Tuesday and Friday, which is really neat! They do multiple genres, so I could do a few different things for them. Here’s my example of a how to piece. That’s it, those are my only ideas. This semester I’m taking a magazine class. In this class, we’ll be learning how to get our works published in literary magazines. This is my first post. Barrelhouse accepts a variety of different works, like poetry, essays, and reviews, all of which I write. Also, I think they mix the perfect amount of seriousness and humor, which I tend to do, too. I’d like to think that sometimes my writing is pretty funny, and The Rumpus has some hilarious content. Especially a lot of hilarious content written by women. Another funny magazine. Also, Ali got accepted here. I love Ali. Oddly enough, in the almost four years that I’ve gone to Pitt-Greensburg, I’ve never submitted to Pendulum. I would like to change that. This is a magazine by women for women. I am a woman. They are looking for emerging and established writers. I am an emerging writer. Another magazine that highlights humor and, like the name suggests, the offbeat. I can get down with that. This magazine is based in my home, the ever-wonderful land of the Amish (aka Lancaster). I write a lot about family and home, so my pieces would probably find a good home here. Another magazine based in central Pennsylvania. Its goal is to publish writers from Lancaster, York, and Harrisburg. It seems like they mostly do fiction, which I don’t write that often, but I’d like to give it a try. This is a magazine that publishes a lot of stories about humans. Interestingly enough, I’m a human, and I love telling stories about my life. They’re a journal dedicated to creative nonfiction, which is my favorite thing to write. I’ve been seeing this book tag around lately and wanted to take part in it too! When I’m at college, I have a comfy chair in my dorm room (one of the perks of being a CA) and I like to sit there. When I’m at home, I like to sit on the couch in our living room because the TV is there and I like to have background noise when I read. Random piece of paper! I’ve stopped buying bookmarks because I usually lose them or leave them in a book after I’ve finished it and always end up forgetting about it. I prefer stopping at the end of a chapter but if I have to stop reading wherever I’ll do it. Usually I have water or something when I read, but I try not to eat while I read because I don’t want to mess up the pages. TV sometimes, but quietly as just a background noise. Sometimes I listen to music, but if I find it too distracting, I turn it off. I just don’t necessarily like reading in absolute silence but I don’t want lots of noise either. Several at once, but usually that means one YA/fun/not class-related book, a book or two for class (right now I have a memoir class so I’ve been reading a lot of memoirs), and usually some graphic novels tossed in there. Everywhere, all the time, constantly. Silently in my head but sometimes if I’m in my room reading by myself I’ll say pieces of dialogue out loud because I like to hear how it sounds. No!! I don’t want to ruin it. Depends on if I’m using them for class/research or not, but usually no. Sometimes, with really old copies of books that I love, I’ll highlight good quotes from them. 12. When do you find yourself reading? Morning, afternoon, evening, whenever you get the chance or all the time? Whenever I get the chance. I read a lot mid-morning when I’m at work if they have nothing for me to do or I have no homework. I read during breaks, in between my classes. I usually read in the evening as well after dinner if I don’t have activities/events/anything else I need to do. 13. What is your best setting to read in? Anywhere that has a comfy seat and minimal noise (only just a little noise for background music). I like to sit around people to read if they’re also reading and or being quiet. 14. What do you do first – Read or Watch? 15. What form do you prefer? Audiobook, E-book or physical book? Physical book! I like to carry them around with me, but I’m not opposed to E-book or Audiobook. They’ve just never really been what I’ve used to read. 16. Do you have a unique habit when you read? 17. Do book series have to match? Yes, I can’t stand if they’re all different. Thanks for reading! Look out for my next post. Hello! This is my first time ever doing a Top Ten Tuesday, which is a weekly meme which can be found at That Artsy Reader Girl. If you saw my previous post, you’d know that I’m trying to do these every week in order to keep myself motivated when it comes to updating my blog. This weeks Top Ten Tuesday prompt is books on my spring to be read list. HELLO. It’s been so long since I’ve posted anything on this blog – not having a class that requires me to regularly update has really killed me this semester. I’ve been incredibly busy and haven’t had time to write many (or any, I suppose) posts. But I’m going to try and change that! Every Tuesday, I’ll try and do the “Top Ten Tuesday” book prompt things. Hopefully it will help me stay on track and post at least once per week, so be on the lookout for more posts soon! Don’t look back, don’t slow down, and don’t trust anyone. Those are the words that Neil Josten lived his life by for so long. That is, until he came to Palmetto State. The novels follow the story of Neil, a runaway with a dark past who gets recruited to play for the Class-I Exy team at Palmetto State University. For everyone who hasn’t read the books, Exy is a made up sport that can be best described as lacrosse (and maybe even tennis) mixed with the violence of hockey. When the AFTG fandom makes graphics and pictures for the series, a lot of the time they put pictures of tennis courts, but I’m pretty sure the game actually has nothing to do with tennis. Really, it’s more like lacrosse than anything. At first Neil resists joining the team, but he eventually signs the contract that’s offered to him. When he gets to campus for summer training, he meets the four members of the team that are referred to as “The Monsters.” This group consists of Andrew Minyard, Aaron Minyard, Nicky Hemmick, and Kevin Day. You can probably tell from the fact that they’re referred to as “The Monsters,” but they’re really not a good group of guys. All the members of the group, except for Nicky, are generally cold and untrustworthy towards Neil as well as most of the other members of the team. There are a number of reasons for this, one of them being that they all had rough upbringings. Later in the summer Neil meets the rest of the team, and he’s hesitant to get close to any of them because of his background. By the end of the third novel, Neil finally comes to see them all as his friends and even his family. As the story progresses, you find out why Neil is running away, and the risk that he’s taking in signing the contract to play with the PSU Foxes. You also see him growing as a collegiate athlete, making friends, and coming to terms with his past. Something you learn early on in the novels is that Neil’s father is a mob boss who’s looking for his wife and son after they stole a large sum of money and ran away from him because he was, well, god awful. Neil has spent the majority of his life on the run from his dead, constantly changing his name and appearance and never being able to interact with kids his own age. Eventually, the running gets the best of his mom and she dies. Neil, although a teenager who’s already pretty independent, has to learn to survive on his own. Before joining the team, he went to a high school in the middle of nowhere and played Exy to pass the time. He never thought anything would come of it and he would be able to just up and leave once he graduated. He never counted on the Foxes wanting to recruit him for the team. By joining the Foxes, he’s risking being caught by his father, but his love of Exy outweighs his fear of being caught by his father. Honestly, I found the plot of the books to be a little weird and hard to believe in some parts. I’m not sure if some of it is supposed to be realistic, but some parts feel like they would never happen in real life. For example, the coach of the Foxes, Wymack, only recruits players who come from troubled or criminal backgrounds. In real life, I doubt this would ever be able to happen. No college sports league would allow that kind of recruiting style. Not only that, but the amount of rules that Wymack allows the kids on the team to break is incredible. That being said, I think the characters and their dynamic makeup for the slightly lackluster plot. I enjoyed seeing Neil grow and bond with the people around him who he was so hesitant to trust in the beginning. The characters are really what saves the story for me. My favorite character in the whole series probably has to be Kevin Day. My boy Kevin has a whole backstory full of sadness and drama, so much like Neil, he’s really hesitant to get close to his teammates. He’s definitely the member of the Foxes that takes Exy seriously (although both Neil and Dan are probably a close second), which makes it interesting that he’s such good friends with Andrew, who doesn’t care for the sport (or much of anything) at all. At times Kevin can seem standoff-ish or cold. That’s because he is, but I love him anyway. He’s dubbed “the son of Exy” because his mother, Kayleigh Day, was one of the two original creators of the sport, which kind of means Kevin’s also a big deal, since he grew up playing the sport and is the best player in the league. Also, before he joined the Foxes, he played for the most successful team in the league, The Ravens. But an accident that resulted in his dominant hand being broken lead him to lead the Ravens and join the Foxes. There’s a lot more story behind it, but that’s all I can say for now without spoiling one of the biggest secrets of the series. Regardless, all of this adds up to him taking Exy super seriously and being incredibly standoff-ish about it. The coolest thing about this series is that the author keeps a blog and answered a lot of fan-asked questions about different characters and different scenes, so it gives even more background to the story than before. I have a bunch of them bookmarked on my computer just in case I ever want to go back and read more about certain characters. Since Kevin is my favorite, the ones that talk about him or give more backstory to him are the ones I like to read the most. If you like made-up sports, romance, and incredibly self-destructive-but-lovable characters, the “All For The Game” series is the one for you. Sometimes it might be hard to get through, but the characters and their relationships really make it worth it in the end. 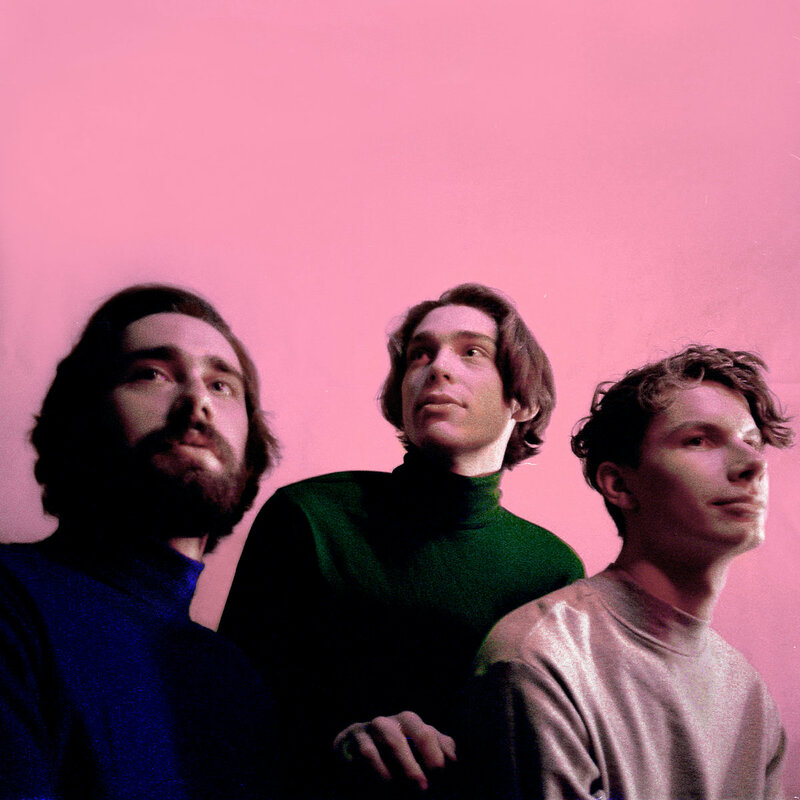 The album that I want to talk about in this post is Remo Drive’s “Greatest Hits,” which came out this year. I only discovered this band a few months ago, but I’ve been in love with them ever since. I had the pleasure of seeing them in concert back in late November, when they came to Mr. Smalls in Pittsburgh with the band Hippo Campus. You can read my review of all the songs on the album below. Today I’m here to talk about The Raven Cycle book series written by Maggie Stiefvater. 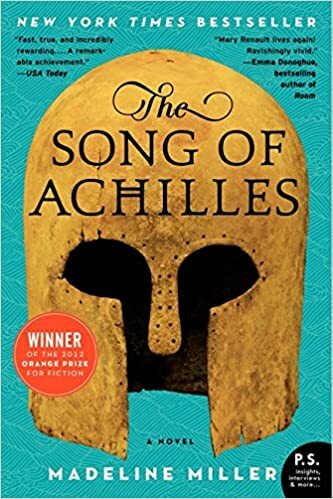 The Song of Achilles has been one of my favorite books for the last few years, and it’s not hard to see why. The book incorporates history, mythology, and LGBTQIA+ relationships all into one book, so there was no way I wasn’t going to fall in love with it the minute I picked it up.